Great news! P&G and CVS have teamed up to give you some amazing deals on your favorite P&G products. The CVS/pharmacy ExtraCare program is a great way for you to save money on almost all household necessities. Just start each trip by visiting your local CVS/pharmacy ExtraCare In-Store Coupon Centers. · Plus, get an additional $1 off when you scan your ExtraCare Card! · That’s almost $3.60 in savings on 2! From now to 4/30/13, CVS shoppers who spend $50 on P&G Beauty products (Participating Brands: COVERGIRL®, Pantene®, Secret®, Venus®, Ivory®, Herbal Essences®, Aussie®, Clairol®, Safeguard, Olay®, Crest 3D White®, Head & Shoulders®, Puffs®, Vidal Sassoon®) will receive a $15 VISA gift card via mail-in rebate. To receive your $15 gift card, go to http://www.pgbestinbeauty.com/BOBrebate.pdf and download the rebate form, fill it out, and mail it in with your original dated sales receipt(s). Be sure to circle the P&G beauty items and purchase price(s). P&G will mail you your $15 VISA gift card in 6-8 weeks. It’s that easy! Be sure to pick up your March P&G brandSAVER® in your local newspaper on Sunday, March 3, 2013 for more great deals on your favorite P&G products. Help dry hair hold its style with this easy trick. 1. Treat hair with Aussie's Moist 3 Minute Miracle Deeeeep Conditioner and blow dry on a low heat setting. 2. Separate hair into 2" sections and curl one at a time. 3. After curling each section, pin the curl up for a few minutes. This will help the curl set as it cools for a longer-lasting style. 1. Wash and condition your hair with the Herbal Essences Hello Hydration Collection. 2. Spray Set Me Up extra hold spray gel throughout wet hair. 3. Use a hair drier to dry your hair until damp. 4. Pin back a 2-inch section of hair at a diagonal. 5. Blow dry your hair completely, repeating section by section, using a paddle brush to smooth as you go. 6. Expert tip: Angle your hair dryer away from the roots, following the brush, to keep your hair smooth. 7. Smooth a flat iron through each section of hair. I would buy Tide laundry soap because it's expensive and we don't buy it much. and more Herbal Essences and Aussie Shampoo and Conditioner as my daughter and I both have long hair. If I won, I would stock up on Pantene, CoverGirl, and Crest products! more Aussie, We are huge fans. I will be getting CoverGirl, Clairol and Crest. I'd buy Pantene shampoo & conditioner. I would buy some Pantene and okay face products. I would buy Pampers and Tide laundry detergent. I love herbal essences products, great giveaway! Clairol root touch up and color foam. I will buy Cover Girl makeup. I would buy pantene and herbal essence... I used to have a stockpile, but not I am running low. I miss having that as a backup. Tide, Aussie and Pantene, a nice little stock up! I'd buy Venus razors, Herbal Essence shampoo and conditioner, and Ivory soap! I'd get Tide laundry detergent since it's so expensive. Also Aussie hair spray, Covergirl make-up, and Charmin toilet paper. Herbal Essence shampoo and conditioner. I will buy aussie products. I would stock up on aussie and rest products!! I would buy Pantene Conditioner and Shampoo. I will buy Venus products and Herbal Essence! probably Tide and Mach3 items. Pantene shampoo and ivory soaps. Thanks so much. I'll get some Pantene Pro V Shampoo and Bounty. I will buy Herbal Essences Shampoo, Cover Girl, and all kinds of stuff, I think just about all of my household stuff is P&G. I would buy Charmin TP, Duracell batteries and Downy laundry detergent. I would buy my son some Pampers Cruisers diapers and some Color Me Happy Herbal Essences shampoo and conditioner. I'll be buying Tide & Secret! I will be buying some Tide and Pantene! Pantene! Pantene! gosh I love Pantene. I also buy a lot of Olay for my skin. that is most likely what I would buy, my hair and skin needs. I'd buy some Tide pods! More Herbal Essences Shampoo and conditioner! Lots of TIDE, and some Pantene hair products. I would buy Tide and Pantene. I go through them both quickly! We can always use Charmin! TIDE! It's expensive and I don't buy it otherwise! I'd get some Olay Regenerist Serum. Herbal Essences leave in conditioner, Cover Girl Mascara, and lots more! I would buy Pantene shampoo! Definitely Shampoo & Conditioner, Body Wash, Listerine, and some Covergirl products! I'd stock up on Tide! Pantene shampoo & conditioner and Crest Toothpaste. Olay Daily Moisturizer and Aussie shampoo - thank you. I would pick up Olay bodywash and Pantene shampoo. I might try Aussie shampoo and conditioner again. It's been a while! I'd buy Pantene shampoo and conditioner, I love that product. This is a great giveaway, we use lots of P&G products in our home! 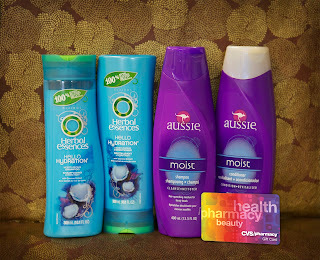 I would have to buy my favorite hair Aussie hair products! Mega Hairspray, Mouse, and Scrunching spray! I would get herbal essences shampoo and pantene conditioner. I'd get some Aussie Mousse and Pantene AgeDefy shampoo and conditioner. Thanks! 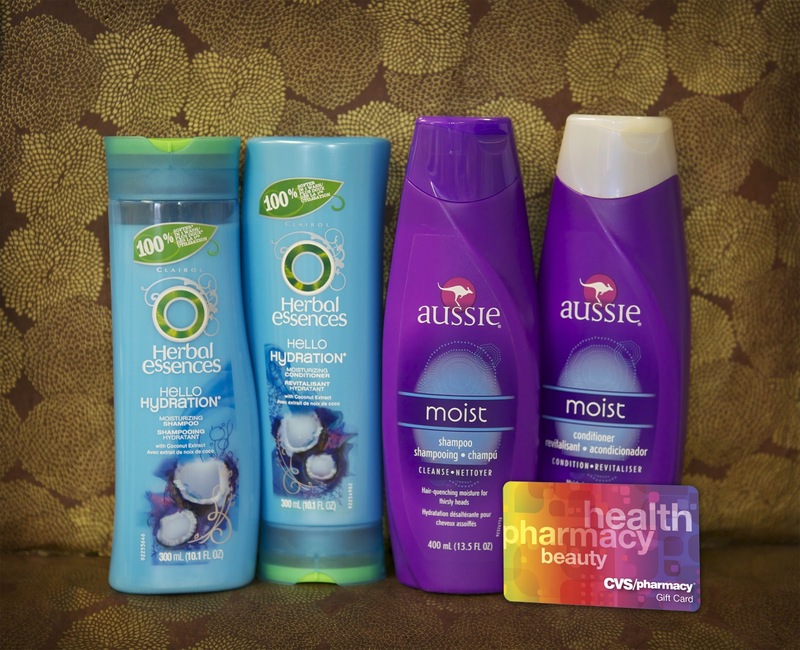 i would def buy the aussie moist product line....it works so well!!! I would buy some Bounty, Tide, Dawn. I would get Tide Pods! I would buy some Olay Body Wash! I would stock up on Pampers. I will buy Febreze and Pantene products! I will buy make-up and shampoo. I will stock up on Aussie products, especially their 3 Minute Miracle. Thanks! I would buy detergent, makeup, and shampoo (Pantene)! Thank you so much. Most likely Tide and Pantene and maybe some Crest! I would buy some Aussie shampoo, Secret deodorant, and some Crest toothpaste. i will buy tide, herbal essences, downy and pantene too! I love P&G products. I use Herbal Essccence frequently! I would buy Herbal Essence Shampoo and Conditioner! All the Tide Pods the $50 GC would get me lol. I would get some Covergirl make up! I would use it on Downy, Crest, and Charmin. Thanks for the giveaway...Head & Shoulders ! Clairol Brass Free For Brunettes Hair Color.